With 103 SpringBoard graduates in the community, there are dozens of unique, one-of-a-kind gifts that are designed and manufactured right here in Cincinnati. Want to shop local and support SpringBoard this season? We’ve rounded up a few awesome gift ideas made by our SpringBoard entrepreneurs. Also, make sure to browse the Shop OTR Pinterest page. Several SpringBoard businesses, including Iris Book Cafe, Urban Eden and Atomic Number Ten. Stumped on what to get that special lady? 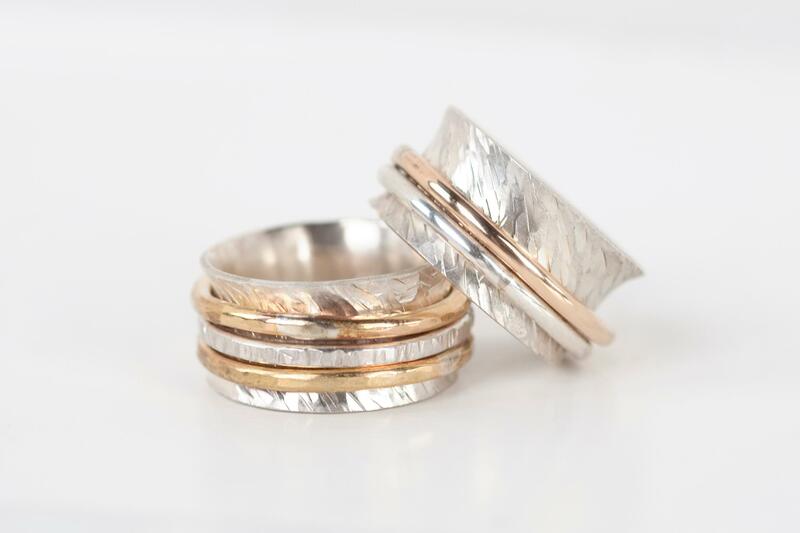 You can’t go wrong with beautiful, hand-crafted jewelry by Susie Brand Designs. Located at the Pendleton Arts Center, Susie Brand will make sure your custom piece of jewelry is a perfect fit. 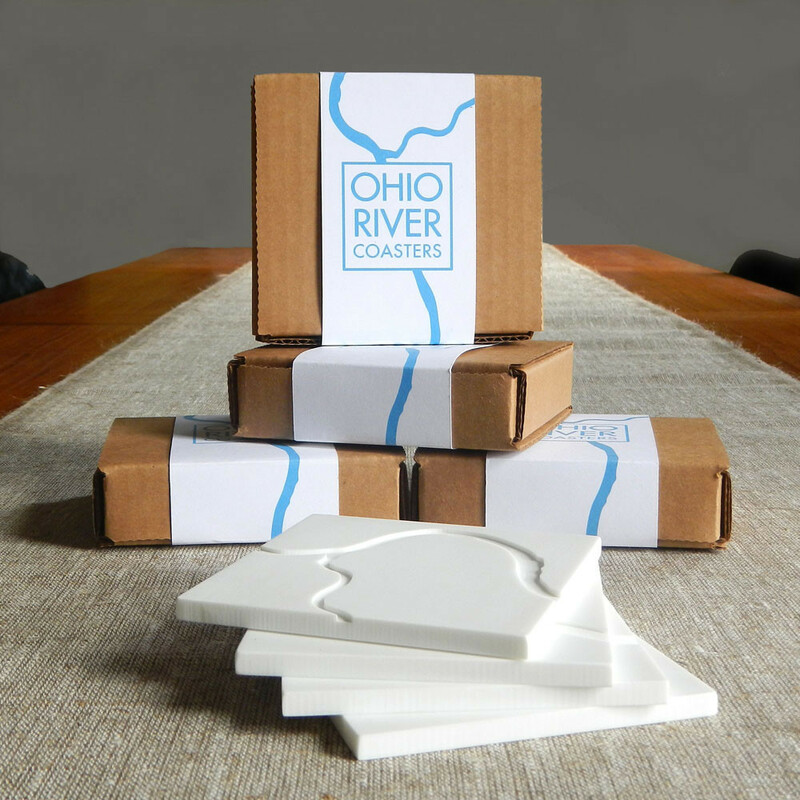 For your more practical friends and family, this set of four coasters from Visualingual that represent the sinuous curves of the Ohio and Licking Rivers will be a hit. Or Once Blind Studios celebrates Over-the-Rhine with these coasters, now available at Park + Vine in OTR. How about some unique home accessories? 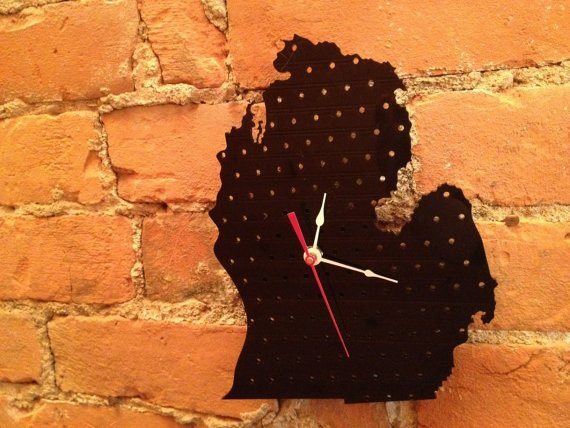 Order an acrylic wall clock in the shape of any state from Dulcet Designs. You may recognize this unique laser cut clock from Make Magazine. This unique spin on an everyday item will ensure your gift is remembered for years to come. 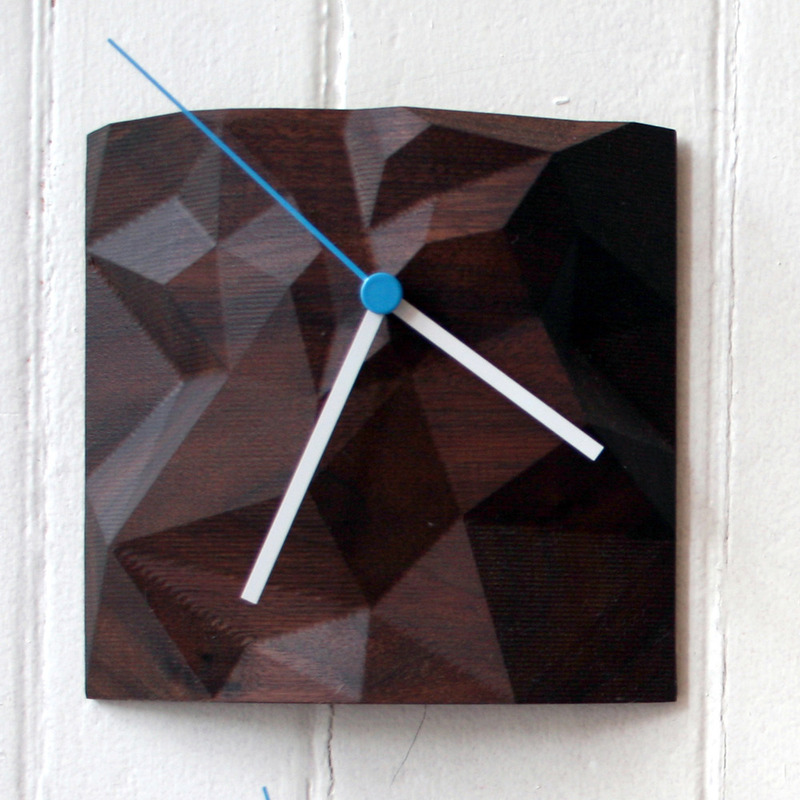 Or check out this beautiful block clock, handcrafted by the trio of industrial designers at Such + Such. If your friends and family seem to have everything, how about gifting a unique experience? Walnut Hills-based clay studio, Core Clay, offers a Beginner Wheel Class for individuals hoping to get their hands dirty in 2013. If you have more advanced clay throwers in your family, check out Core Clay’s full list of available classes. Looking for kitschy housewares and vintage threads? Atomic Number Ten‘s Annual Gift Guide and Style Book can help you find a retro gift for even the pickiest of friends. 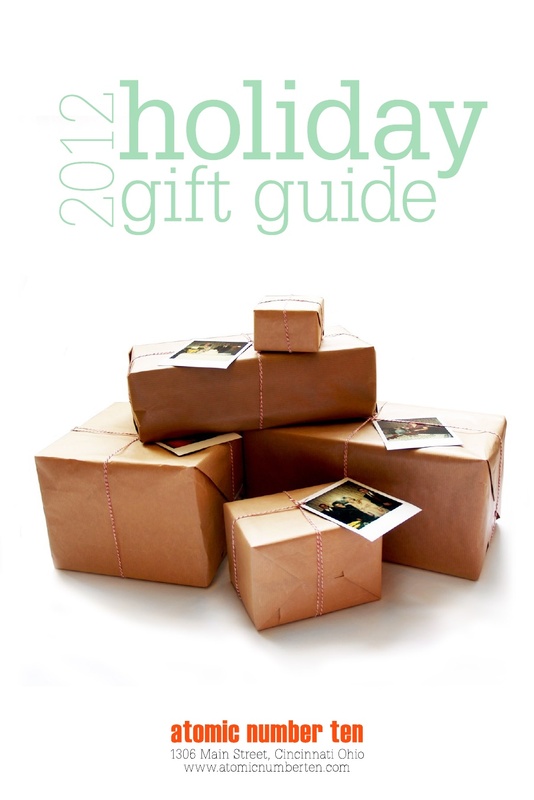 Check back later this week for Part II of our SpringBoard Holiday Gift Guide!